What is the normal Christian life? What should Christians expect to experience? What does it mean to be fully and genuinely a Christian? The Apostle Paul's short letter to the Colossians offers simple but marvellous answers to these questions. Here are 8 challenging, mind-stretching, life-changing studies for individuals or small groups. 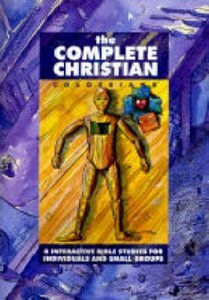 About "The Complete Christian (Colossians) (Interactive Bible Study Series)"
Paul's letter to the Colossians offers simple but marvellous advice to Christians of all ages. For the new Christians who want to be sure that they're on the right track, or for longer-serving Christians who are dazzled by the range of alternatives on offer, The Complete Christian sheds bright light on God's word; What is the normal Christian Life? What should Christians expect to experience? Is it simply a case of 'trust and obey' or is that too simplistic? What does it mean to be fully and genuinely a Christian? Like almost every age before it, the latter half of the 20 Century has been marked by controversy over these questions and a resulting confusion among Christians about whether they are the 'genuine article'. The Apostle Paul's short letter to the Colossians offers simple but marvellous answers to these questions. For the new Christians who want to be sure that they're on the right track, or for longer-serving Christians who are dazzled by the range of alternatives on offer, The Complete Christian sheds bright light on God's Word An ideal study book for individuals or small groups.